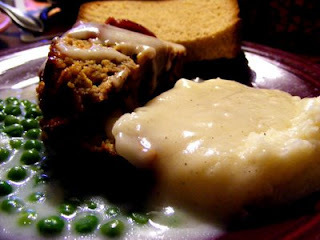 We really like Turkey Meatloaf. At first mine were dry and just not meatloaf like. I started playing around with it and found this to be the best one for our family. Give it a try and you will love it too. Mix all of the ingredients except for ketchup in a large mixing bowl. I use my hands. Place parchment on 9x13 pan. Form meatloaf and place on parchment. Bake at 350’ for 1 hour. Place ketchup on top of meatloaf and place back in oven for 20 minutes. Should form a glaze on top of meatloaf. Hi! I just wanted to thank you for listing me on your blog! I appreciate it. Your blog looks lovely and I will check it out regularly now!